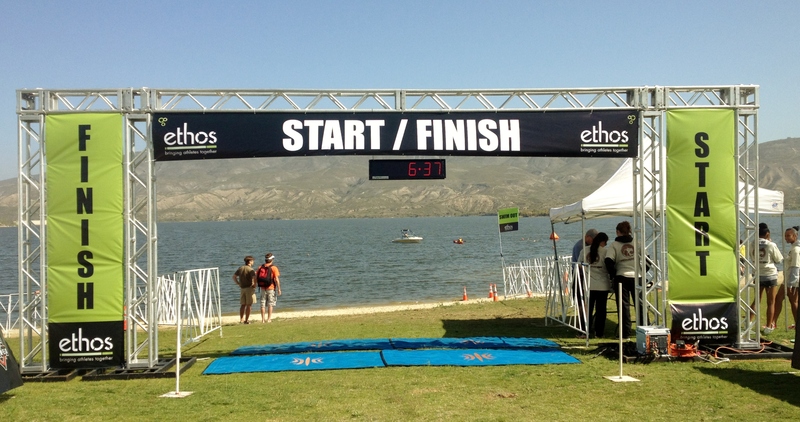 Start and finish line clocks, hung from truss structures or placed on our clock stands. Start clocks used to display the time of day or a countdown to the start of the race. 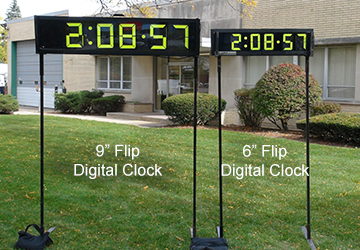 Double sided clocks used at the finish line to display race time for the entrants and spectators. 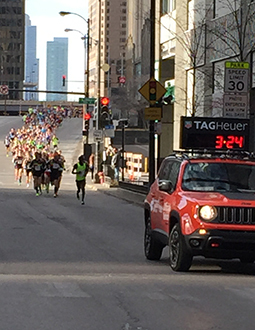 Course clocks, placed at mile markers, halfway points, etc.. Often two clocks, one on either side of the course, are used to maximize visibility. Mounted clocks on lead vehicles, equipped with external keypads so that the clocks can be easily started from inside the vehicle. LED clocks are more suitable to be placed on moving vehicles. Display time of day on the event site (requires a 6 digit clock). 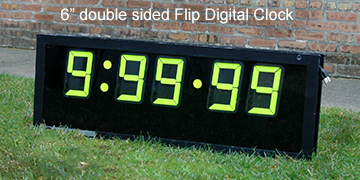 Flip Digital Clocks have reflective, yellow electromagnetic “flip” digits for viewing in bright sunlight. They display to the 1/100 of a second and have a 15-24 hour run time (standard) on a fully charged battery. They can be plugged into a direct power source with an attached cord. 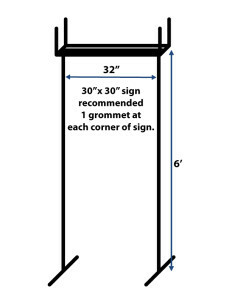 can be used on clock stands or placed in a truss structure. LED Clocks have a red display that can be seen from a 90º wide viewing angle and is readable in the brightest sunlight to the darkest of nights. They display to the 1/100 of a second and have a 10 hour run time (standard) on a fully charged battery. They can be plugged into a direct power source with an attached cord. Clock Stands – Raises and holds clock in position to be viewed by participants. 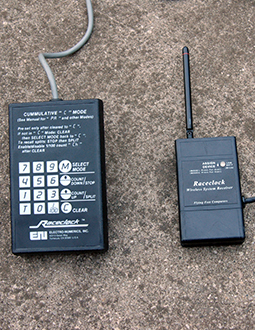 External Key Pads – Duplicates all functions available at side of the race clock. Lead Vehicle Mounts – Secures race clock to the race vehicle to be viewed by leaders and spectators along the course. 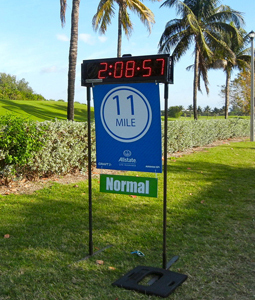 Mile markers with clock displays present a signage and sponsor opportunity at multiple, highly visible points along a course. 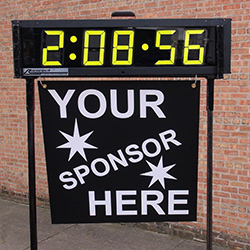 We can place sponsor or event signage with the clocks to fulfill sponsor entitlements and help your event generate additional revenue.